Mark your calendars for July 23. 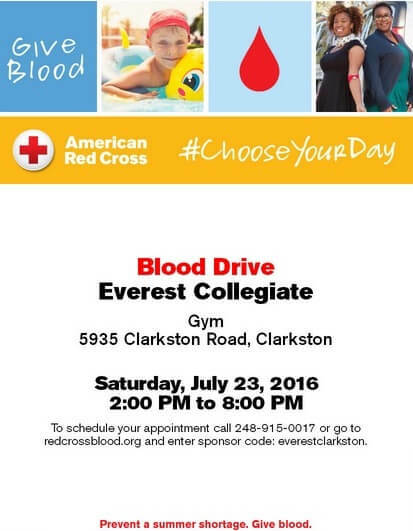 The Red Cross, which has a shortage of blood right now, will be hosting a blood drive at Everest from 2-8 pm. EC graduate Rebecca Luttinen is organizing the event. Prospective donors can walk in, or make an appointment (preferred) at redcrossblood.org by entering the sponsor code “everestclarkston”. Thanks for helping to save lives!